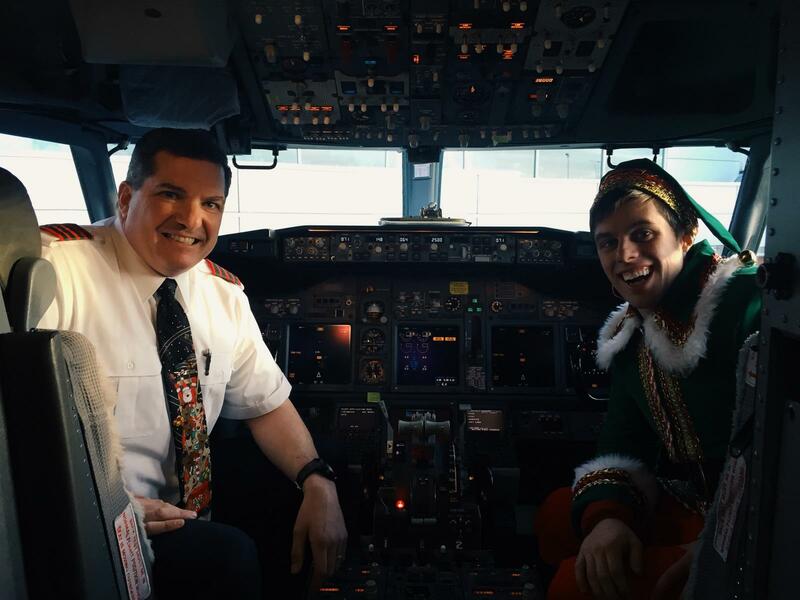 This month, Alaska Airlines partnered with Macy’s to help fly Gadget the Elf to the “North Pole” to deliver the world’s longest wish list to Santa, as part of a special campaign for Make-A-Wish. Saturday Gadget flew from Chicago to Anchorage, Alaska on Alaska Airlines on his way to the North Pole, and shares this blog about his adventures. Hi everyone it’s me, Gadget the Elf! Santa chose me from all the other elves to bring him Macy’s world record breaking, longest wish list. It’s a huge responsibility, so I’m really proud to have been selected. I left the North Pole a couple of days ago and went to New York City to pick up the longest wish list—it’s my first time ever leaving the North Pole so I’m really excited! My day in New York was great fun! After picking up the longest wish list, I was supposed to go to Penn Station, but I got a little turned around and ended up in Central Park! Then I was off to Chicago. It was awesome! Did you know they call it the Windy City?! I think it’s true, because it was definitely windy and cold when I was there—it felt just like home! So … then I was on my way to Alaska, on this magical Alaska Airlines airplane! Did you know it was my first time flying? I’m a little afraid of heights, so I’ve never flown with Santa on his sleigh, but I think I’ve definitely conquered that fear! The plane was awesome! The flight attendants are super nice, they even told everyone on the plane that I was onboard and about my important mission to bring Macy’s longest wish list to Santa! The seats were super comfy, so I could rest up for my remaining journey. I could fuel up too because the food was delicious! My favorite meal on the menu was the cheeseburger—tastes just Santa grills ’em! Follow Gadget’s adventures on Twitter or at Macys.com/Believe.